Here is an interesting aspect to research and add to information relating to your ancestors — the cost of daily household items or special purchases. For example do some comparison of the cost of items used by your relatives and see quite a few differences. Of course there would be differences based on regions of the country to factor in also. In the 1950s, which would have been your parents or grandparents – a single serving of Coke-Cola in a bottle was ten cents. Today you might pay about $1.00 to $1.20. The new small screen television set for the family living room in 1950 cost about $250 but today the screen size can be 32″ to 64″ and cost between $500 and $2,500. McDonald’s fast food got started in the 1950s with its simple hamburger costing 15 cents. Today with the works, a McDonald’s hamburger it could cost $1.30 to $2.50. The cost of a family automobile in the 1950s could be about $1,500 depending on the type purchased. Today, most vehicle average about $20,000. Take it back to the 1930s and the Great Economic Depression, an era of our grandparents. Use a Google search and plug in a 1930s date and the cost of a specific item. A whole loaf of bread cost 8 cents in 1933, today the cost runs between $2.00 and $4.00. 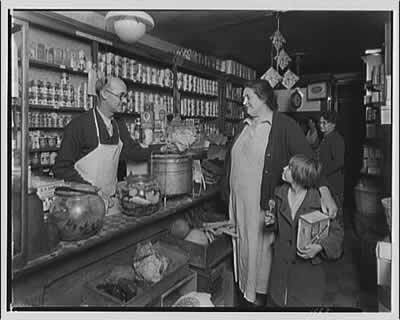 Your ancestors could get three cans of applesauce for a quarter, today one alone costs about $2.00. Try the 1920s and see that a dozen eggs were about 50 cents and today it is $2.00 to $3.50 a dozen. 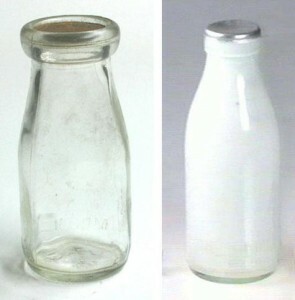 A half a gallon of milk was 28 cents in the mid-1920s and today it is more like $2.80 to $3.25. Look into other costs for families in different time periods. In the 1930s rent averaged about $18 to $20 a month. In the 21st century then average rent is more like $800 to $1,200 a month. Of course wages for individuals were quite different. In the 1930s, an average worker’s weekly income was $20. Today it is more like $500 a week. So your grandparents did not have a lot of weekly income and had to spend carefully, a few pennies here and there. Each time period or decade is fascinating and doesn’t mean you go back to 1900 everything cost only one cent, of course not. In 1900 a dozen eggs cost about 20 cents and half a gallon of milk in 1890 was 13 cents. But weekly wages in those years averaged between $20 and $50 depending on the job, plus workers put in about 60 hours each week. So whether is grocery prices, autos, homes, fuel, or wages, it can be quite an education to compare prices and costs for our ancestors. This is the type of information that really does need to be included with the family history. If you happen to have actual family documents or records of expenses or wages, you have a great treasure of information. 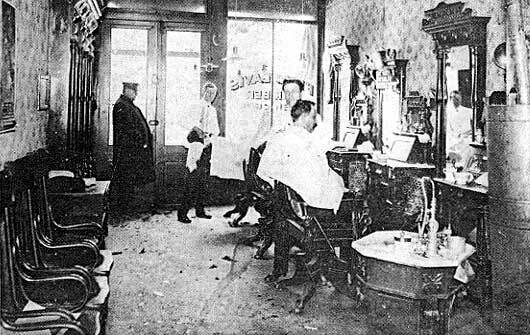 Photos: 1900 barber shop, 1920s grocery store, and 1930s milk bottles.